Hai, I'm glad you could join me today! Have you ever felt the progen/starter breeds don't have enough love? Well I have and I'm proud to present adopts for all four breeds. I can't wait to fill in yours! - price is 50kt per dragon, all finished genes are free. - I accept treasure, gems, paypal and items (check bribes) as payment. - you can only order finished genes, otherwise you need a sponsor slot. - all eyes except common to rare counts as genes. - no skins/apparel, (simple glowing claws etc. are ok) you'd need a sponsor slot. - shadow under the dragons is easily removed upon request. - save your adopt. I won't have them backed up if you lose them. - post your form, count the cost and send the estimated payment in a 1-way CR right away, I will only start once payment is received. there's no need to wait for confirmation before sending; if something is wrong, I'd let you know. more questions? check the Q&A first please! I will ignore anyone asking to be added. - genes cost all from 50kt - 150kt. terts may be cheaper. - small and simple apparel only (unless bribed), cost around 50kt. - you may only ask for one dragon per order. - you can claim a sponsor slot when I open them but fill it asap. - no detailed skins or accents please, but I can be bribed/reasoned with. - send the payment right after I have given you the total cost. if you fail to send payment, your order will be ignored. psst, I love Vials of Scattersight!.. M e a n M i r r o r s ! they will fit in your dragon's bio. fill this form with your order please. Crystal and Facet will be made as Iridescent and Shimmer or basic. Example dragon. I don't do Speckle, Freckle or Hypnotic. T r e a d i n g T u n d r a s ! 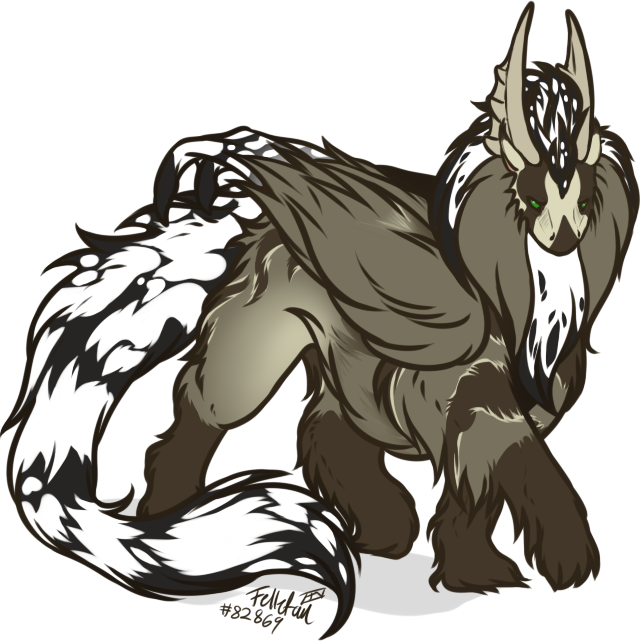 these are what I imagine full winter tundras would be like, therefor all the fluff. there are no gender differences. 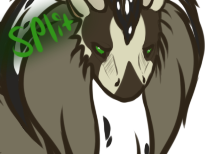 split adds extra color into the mane, like the tundras have on their cheeks. genes may appear different as I might have to improvise to fit them to my base. genes will mostly be based from males. Capsule can not be made due to the base not having a visible underbelly. I don't do Speckle, Freckle. F a i r F a e s ! there are four options, please choose one as they are all free. tongue color on number 3 can be changed. G l o r i o u s G u a r d i a n s ! beard is gender specific, unless requested otherwise. 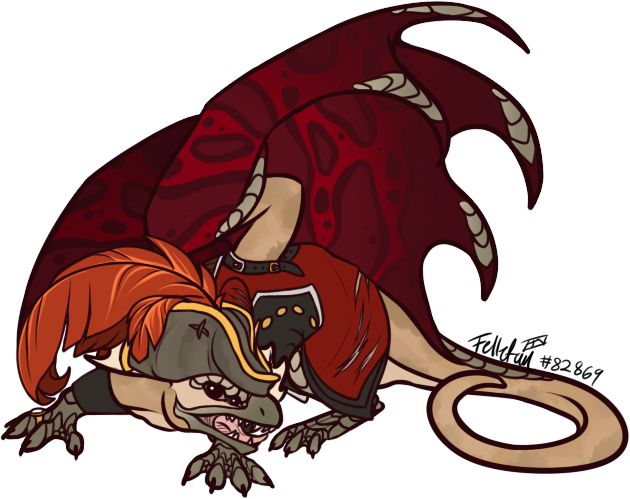 examples of unique adopts, made with bribes or over-the-top payment. do not use an adopt that was not ordered by or for you. [url=http://www1.flightrising.com/forums/adopt/2123470#post_2123470]back to top^[/url] [center][size=7]B[u] r i b e [/u]s ! [/size] [i]I can be bribed to do certain apparels, skins or genes I wouldn't normally accept. Or just as an alternative payment altogether. 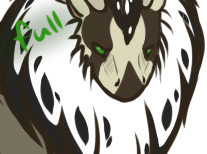 [/i] [url=http://flightrising.com/main.php?p=view&tab=userpage&id=155274][img]http://orig11.deviantart.net/81dd/f/2016/060/e/6/ice_divider1_by_jammy_by_fellefan-d9tjmyf.png[/img][/url][/center] [right][i]psst. use paypal with $10+ and you get aaaanything. [/i][/right] • [b]Ice[/b] If you really want something special, there's my most wanted ice list. it will give you [i]anything[/i] you desire, more depending on the item. [indent][item=ice sprite][item=vista: winter][item=Vista: Tundra dragons] [item=Chillspike Crown][item=Chillspike Collar][item=Frigid Sash][/indent] • [b]Festival[/b] I really want other past festival apparels, such as: [indent][item=Windbound Plumage][item=Leafy Gladeboughs][item=Windbound Mask] [item=Moonglow Thorns][item=Skeletal Chimes] (+ elemental sashes)[/indent] • [b]Apparel[/b] I also accept [i]full[/i] apparel sets. depending on the cost, the more things I'll do for them. the sets I'm mostly looking for are the following: [indent][item=Black Currant Plumed Headdress][item=Pomegranate Plumed Headdress][item=Cloudberry Plumed Headdress] [item=Pristine Rose Thorn Wing Tangle][item=Pastel Rose Thorn Wing Tangle][item=Faerie Rose Thorn Wing Tangle] [item=Gilded Rose Thorn Wing Tangle][item=Sanguine Rose Thorn Wing Tangle][item=Dusky Rose Thorn Wing Tangle] [item=Antique Lace Headpiece][item=Black Lace Headpiece][item=Sepia Lace Headpiece] [item=Ash Lace Headpiece][item=Green Lace Headpiece] gem marketplace (full sets not required for these) [item=Sepia Rose Thorn Wing Tangle][item=Golden Seraph Hip Drape][item=Silver Seraph Hip Drape] [item=Pastel Lace Headpiece][item=Moonlight Lace Headpiece] and this one apparel in particular, I'm crazy about them.. [item=River Royalist Tail Rings][/indent] • [b]Skins[/b] I like skins and accents and accept them as payment depending on how rare they are and how much I like them. UM gives you extra privileges ofc. let me know what you're offering! currently looking for: [skin=11205][skin=13255] • [b]Scrolls[/b] and lastly I take scrolls, any genes! let me know what you have and we can haggle. mostly interested in vials, also can't resist youthful scrolls. [indent][item=vial of scattersight][item=Scroll of Eternal Youth][/indent] • [b]Gen Ones[/b] I love gen ones and I can't help myself from getting more and more.. I'd gladly accept a good-looking g1, but I have priorities! they are as follows, in order: [indent]- color combos. (xxy, xyy etc.) - special eyes. (primal, multigaze etc.) - colors matching well with each other. 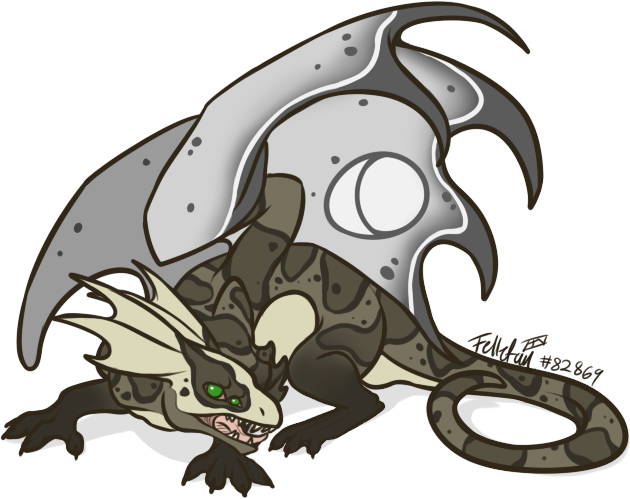 ([url=http://flightrising.com/main.php?dragon=22356823]good example[/url].) - just generally nice. [/indent] they don't need to be gened, breed and gender doesn't matter either. I'm partly interested in eggs, but not a priority. B r i b e s ! I can be bribed to do certain apparels, skins or genes I wouldn't normally accept. Or just as an alternative payment altogether. If you really want something special, there's my most wanted ice list. it will give you anything you desire, more depending on the item. I also accept full apparel sets. depending on the cost, the more things I'll do for them. A twist of thorns with a beautiful bloom. Wear with care. A finely wrought piece of spun filigree. and this one apparel in particular, I'm crazy about them.. I like skins and accents and accept them as payment depending on how rare they are and how much I like them. UM gives you extra privileges ofc. let me know what you're offering! Brightshine Jubilee 2015. (1/12) Designed by Sableye. Starfall Celebration 2015. (14/14) Designed by Kipine. and lastly I take scrolls, any genes! let me know what you have and we can haggle. mostly interested in vials, also can't resist youthful scrolls. they don't need to be gened, breed and gender doesn't matter either. I'm partly interested in eggs, but not a priority. [Dec 31 - 2018] Changes to some rules and shop is permanently open. [Nov 25 - 2018] Experimentally opening 24/7 for non-sponsored orders. [Apr 18 - 2018] Update post regarding the image hosting site change. [Feb 24 - 2018] Small touch-ups around the shop, paypal now available. [Feb 22 - 2018] Prices made consistent and guardians where added. [Feb 21 - 2018] Sudden hiatus explained, guardians under construction. [May 27 - 2017] Ping list was made self-editable. [May 03 - 2017] Shop renamed, tundras and faes where added. [Apr 13 - 2017] Prices slightly tweaked and shop's official opening! [Apr 04 - 2017] Opening a test-run, mainly to see how prices work. [Feb 18 - 2017] Shop posted, still under construction. before you ask something, please make sure it's not already answered here. if you ask something that is already answered here, I will ignore you. Q: Are you interested in adopt trades? A: yes! but I won't always accept them if your base doesn't interest me, so please don't be sad if I would decline your offer. if I do accept then I base the trade off of work-load, not how we price our adopts. Q: This gene is on the already sponsored list, but its counterpart isn't..
A: this rule of forcing you to sponsor both genes was added roughly two years after me opening the shop, this means some genes were sponsored 'one without the other'. if you want to sponsor the other gene then the price will ofc only be for said gene and not for full price. Q: Will you make more breeds? A: no. these are plentiful protectors, which means the plentiful breeds only. if you want other breeds then feel free to check my profile page to see if I have any other adopt shops. Q: Can you add me to a specific ping list? A: no, I only have one ping list which is for sponsored openings and general updates. please add yourself, the list is self-editable. I will not add you unless you specifically give me a reason why you can't yourself. Q: I lost my adopt due to X, do you still have it? A: if the image link I provided is broken, read this. if you lost it due to a memory wipe of your device, then I'm sorry but I can't help you. I tell you time and time again to have it saved yourself. to avoid this from happening however I suggest you post your adopts to a secure image site, like the dA stash if you have a dA account. Q: Will there be more questions? focusing mainly on the plentiful breeds.